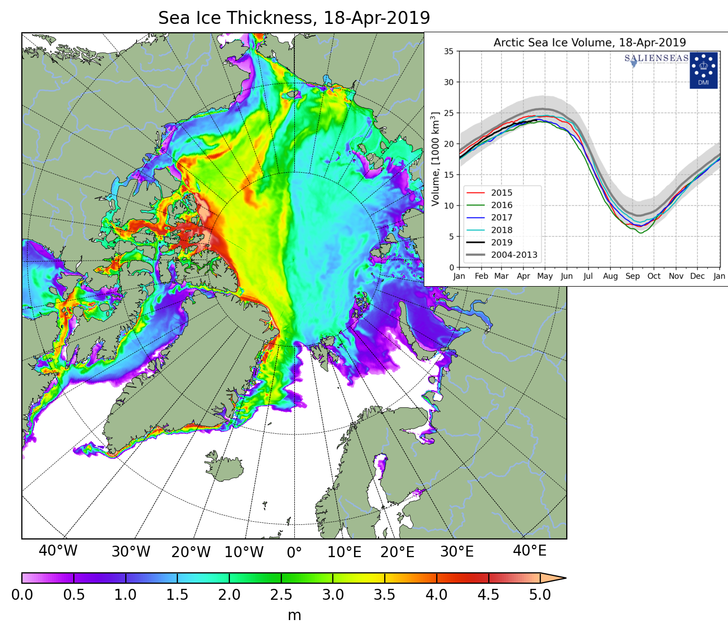 The plots show maps with sea ice thickness, and seasonal cycles of the calculated total arctic sea ice volume. The mean sea ice volume and standard deviation for the period 2004-2013 are shown with gray. The figures are based on calculations using DMI's operational ocean and sea ice model HYCOM-CICE.